My little pile of hand-woven fabric is slowly growing. 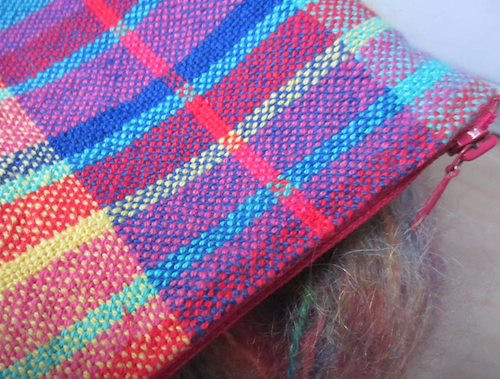 The next one is going to become a scarf. A gift maybe, if I'm pleased enough with the result. 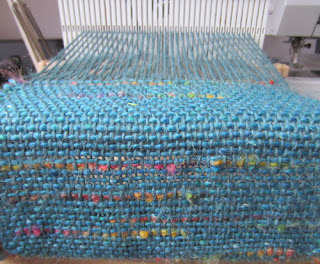 But I must say what I like best in weaving is simply the process. It's become a kind of meditation, like quilting, embroidering or drawing. Beautiful work, Francois. I especially love the blue with the pops of color! 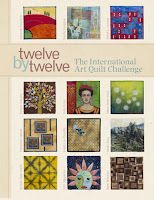 I agree that work like this and quilting, embroidering, and drawing is meditative and calming. Especially wonderful when the product is as beautiful as the process! It's as soothing as stitching. Love what you have made! ce sera une très belle écharpe, ces petites touches de couleurs vives dans ce bleu lui donne un bel éclat! I agree with you about the process being the best part. 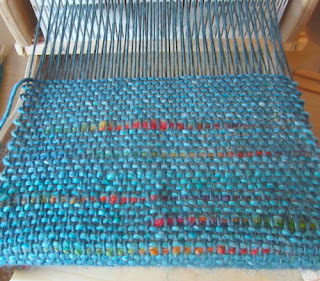 I have really enjoyed weaving this past year (my first). Love your zippered bag!!! That's cool Francois. My late mother in law was a great spinner and weaver. I am still using cushions she made for me. They were to match a blue couch and chairs we had. She used the woven part on the top and fabric to make an envelope pillow case type cover over a cushion inner. Although they are years old they were wool and are still okay. 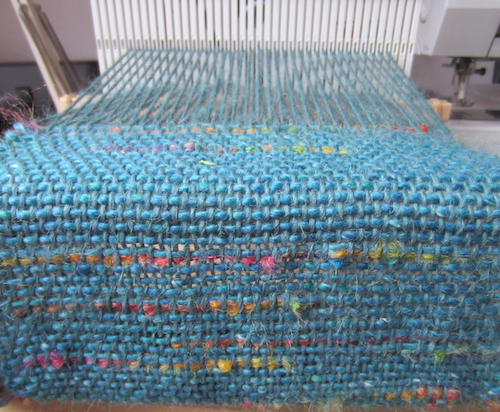 The loom made a wide enough strip for a good sized cushion. No I didn't keep the loom or any of her pottery gear. She had many crafts and hobbies. 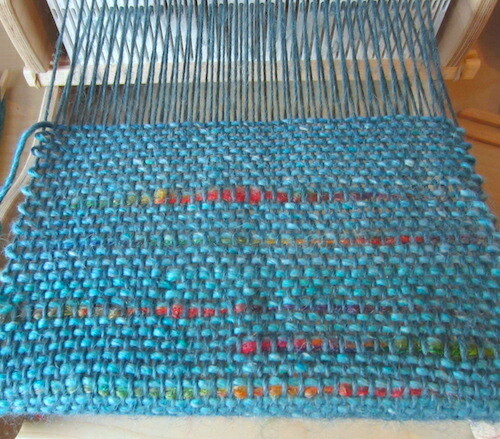 Congratulations on your success with weaving. 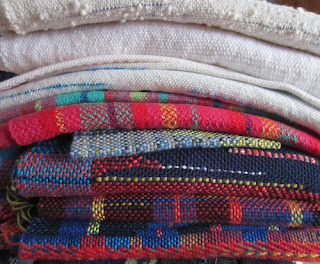 You're so right, there's something quite peaceful about sitting down at a loom and throwing a shuttle, while watching the new fabric emerge.